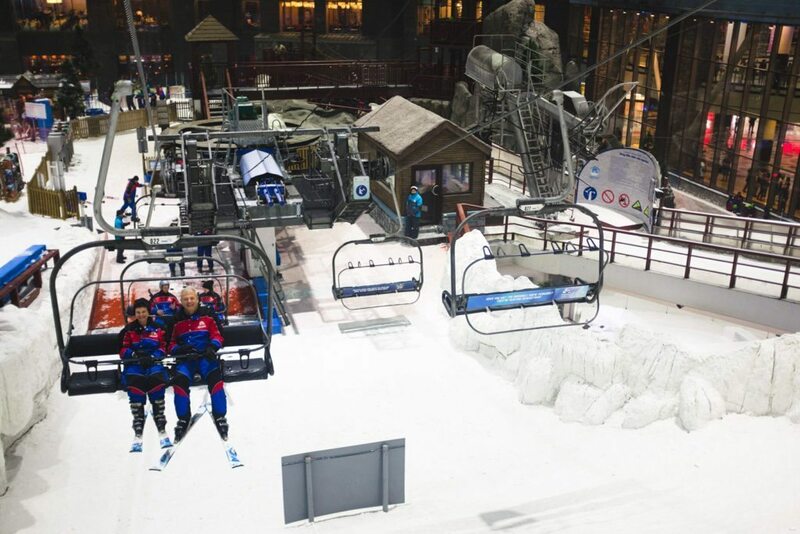 From the desert to the slopes, we spent our last morning in Dubai skiing! 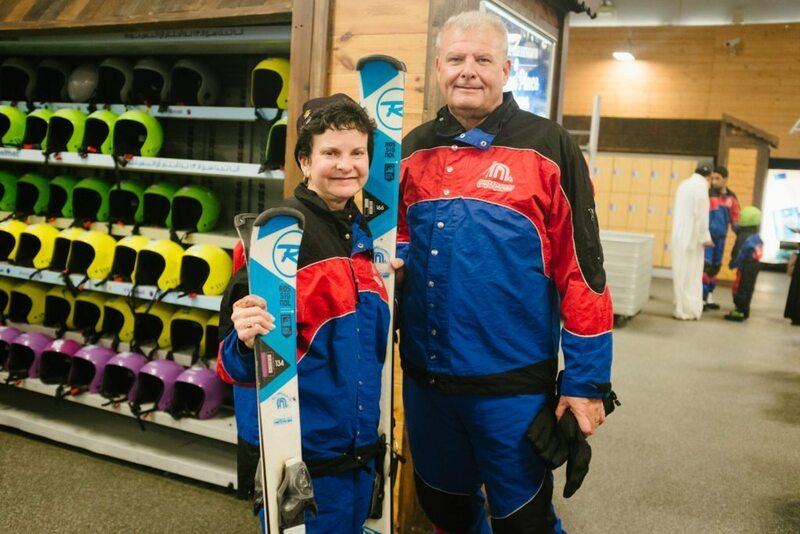 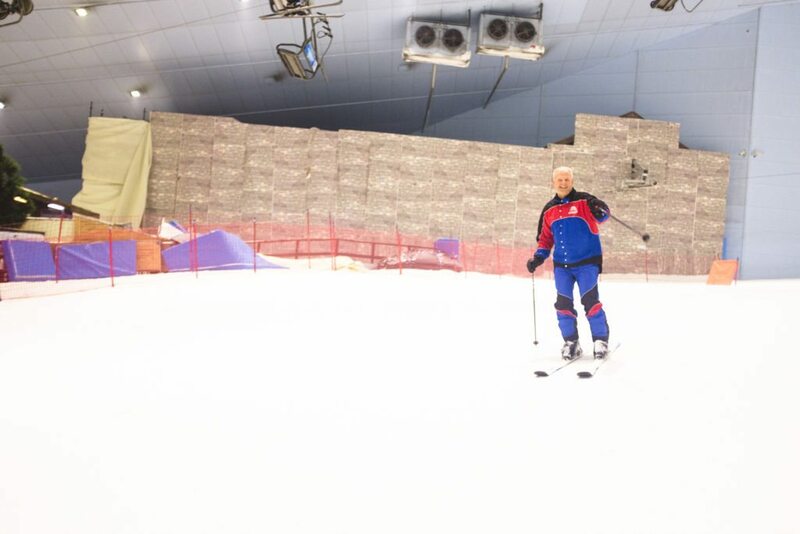 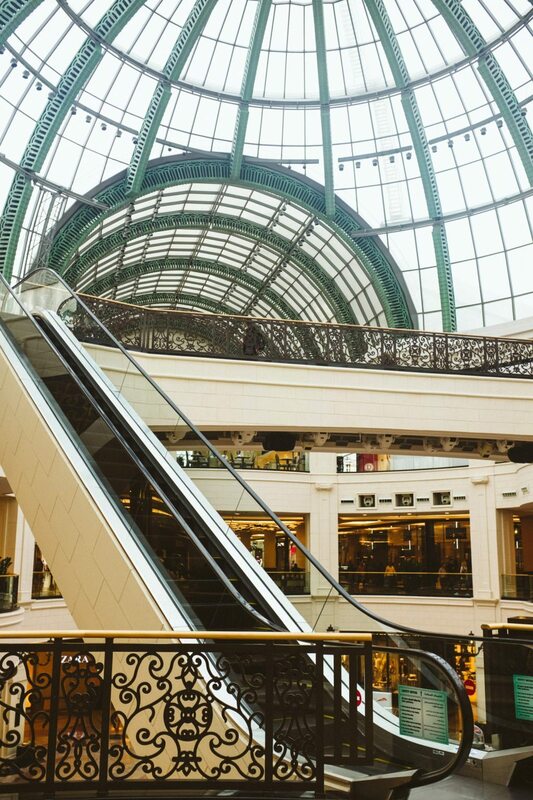 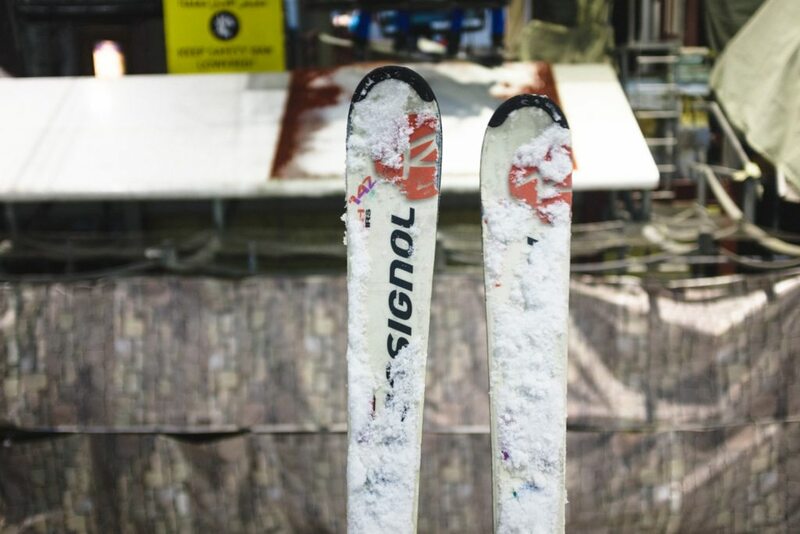 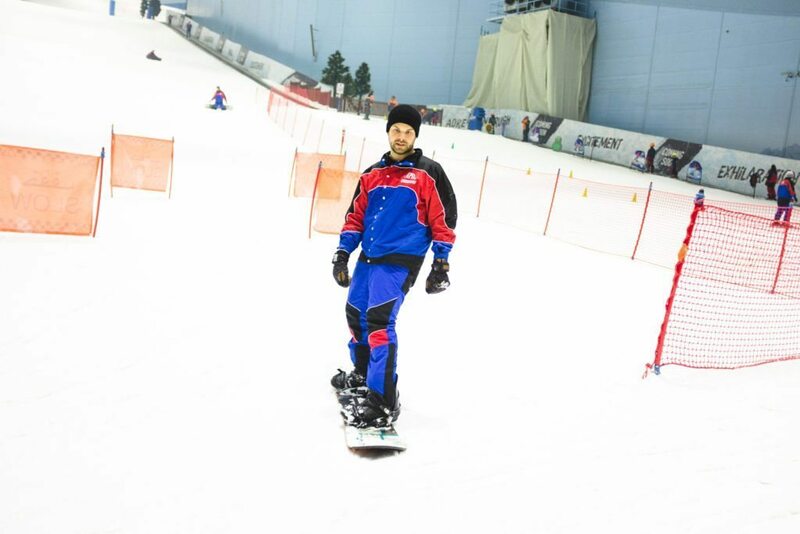 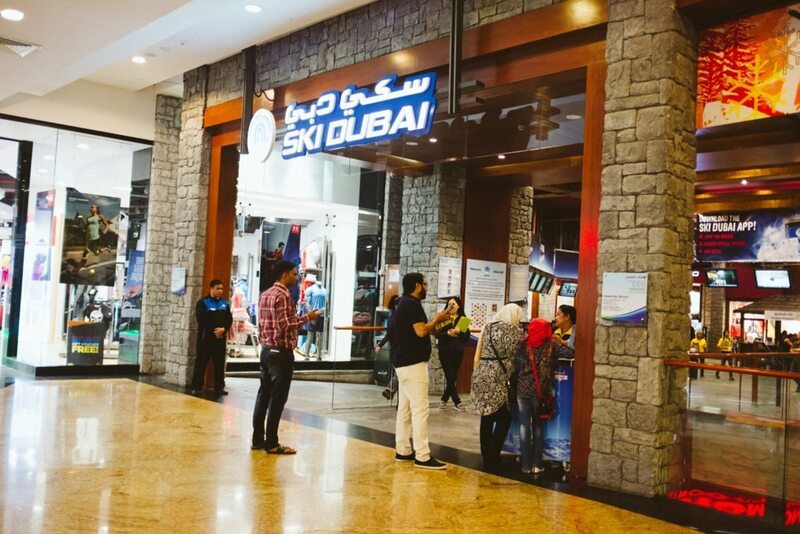 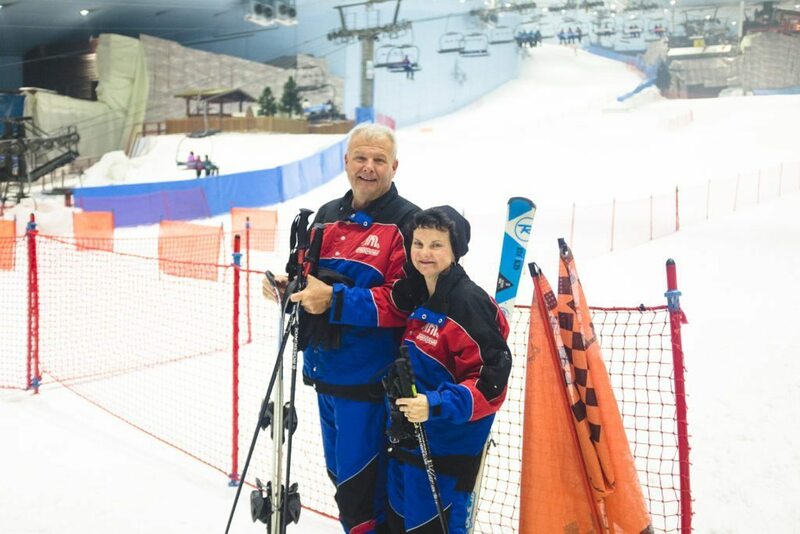 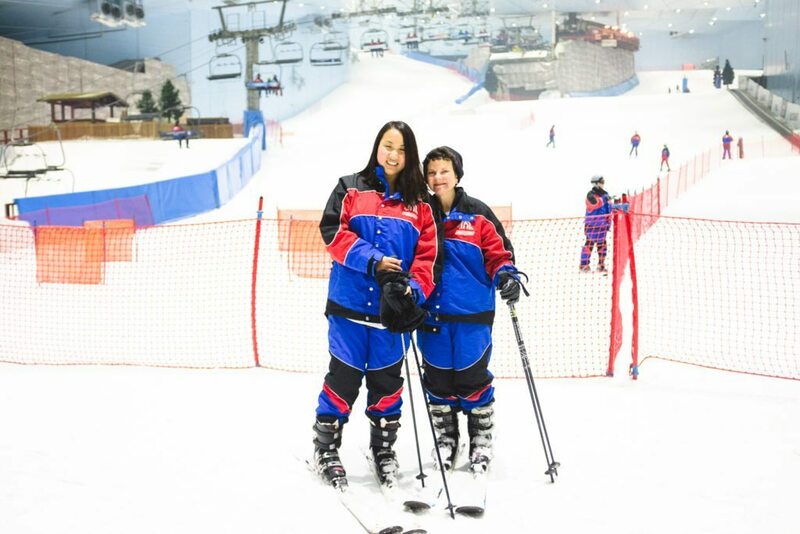 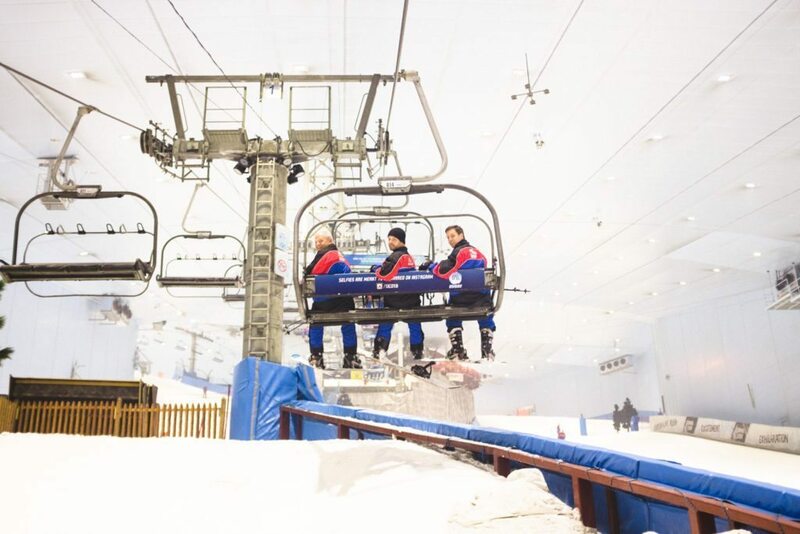 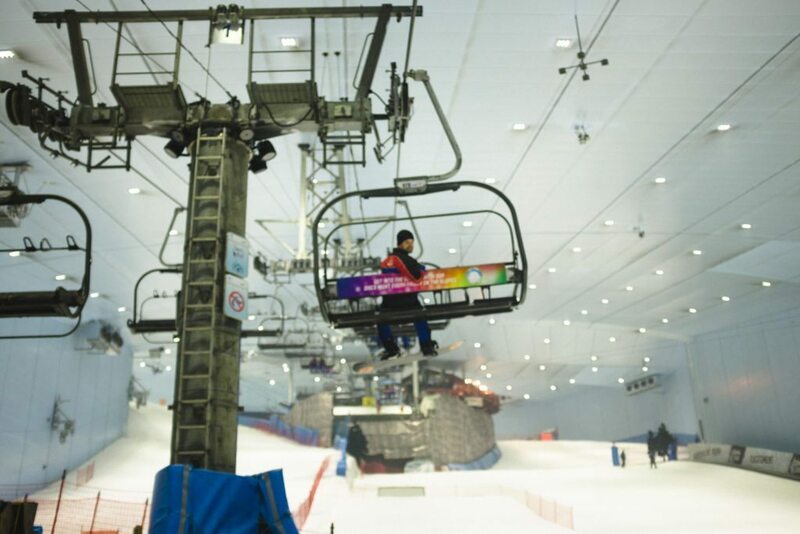 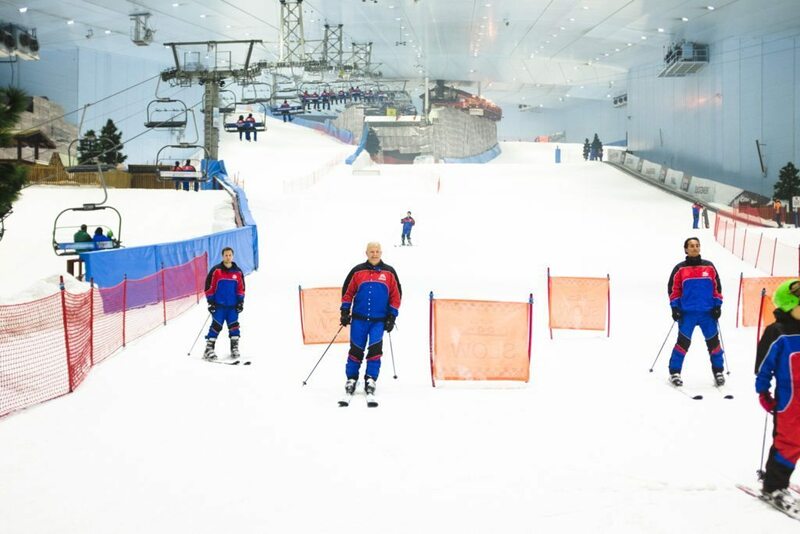 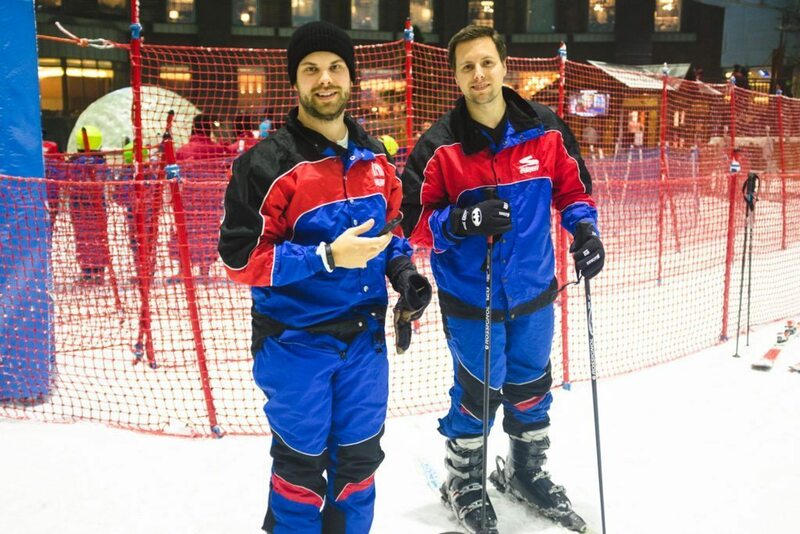 Ski Dubai is located in Mall of the Emirates and was the first indoor ski resort to open in the Middle East. 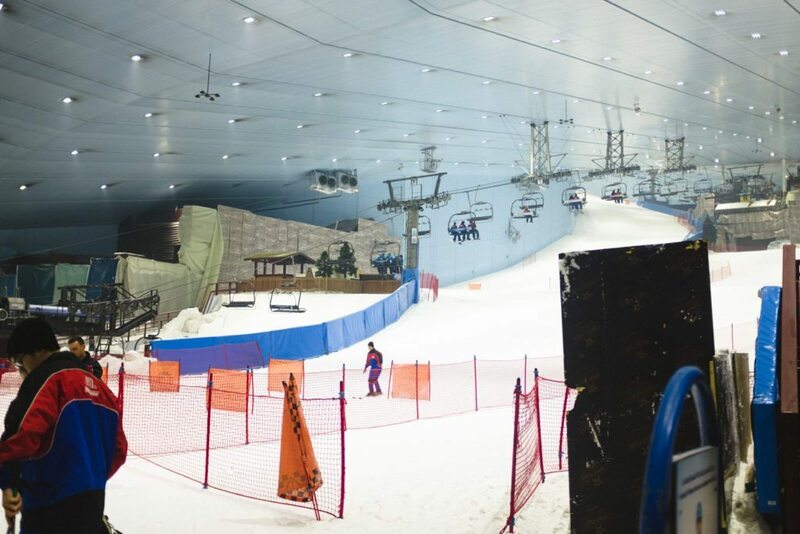 It contains five runs (varying in difficulty from bunny slopes to a black run, and freestyle area for snowboarders) with 22,500 square meters of snow. 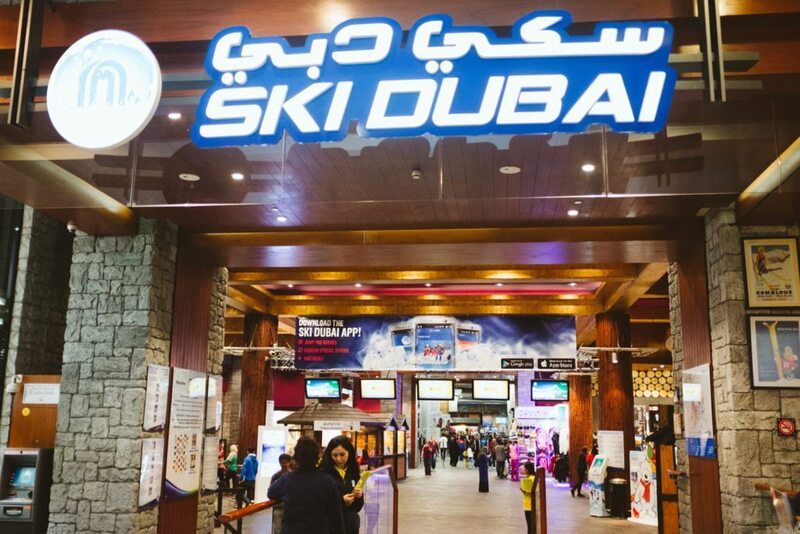 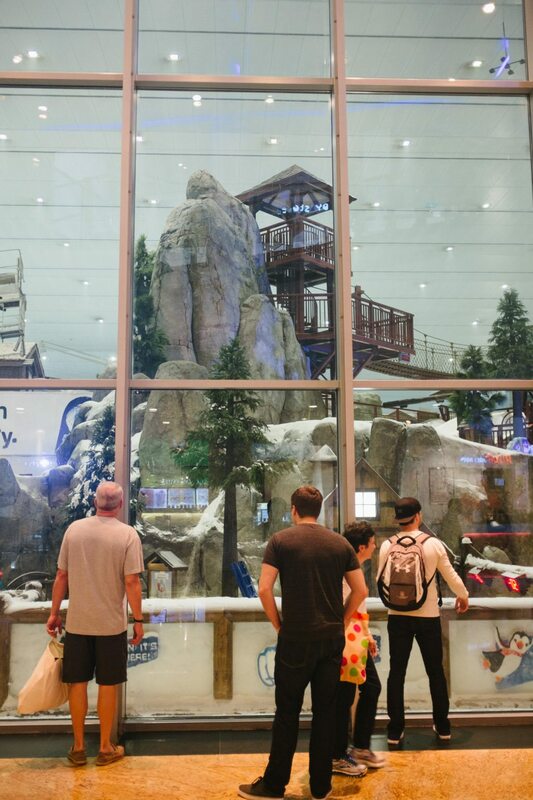 Ski Dubai opened in November of 2005 with a 278 feet high mountain (and the first indoor black diamond ski run). 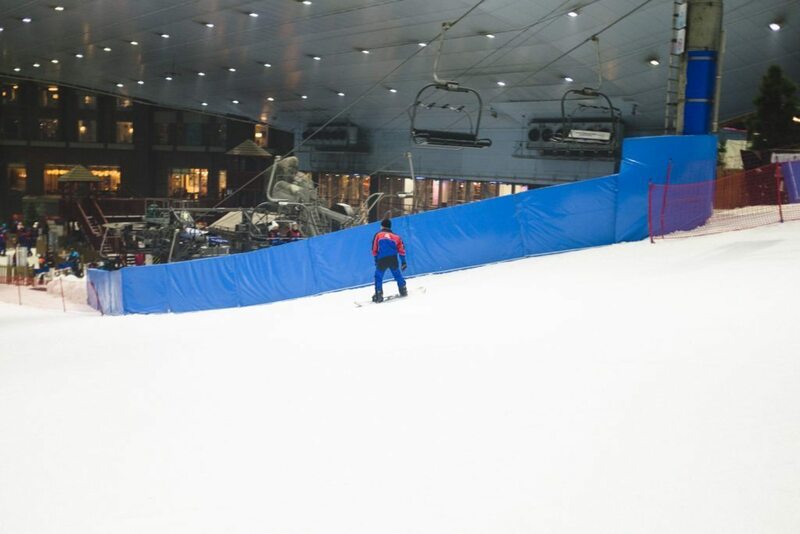 For non-skiiers/snowboarders, there is a Snow Park with snow caves, toboggan slopes and tube rides. 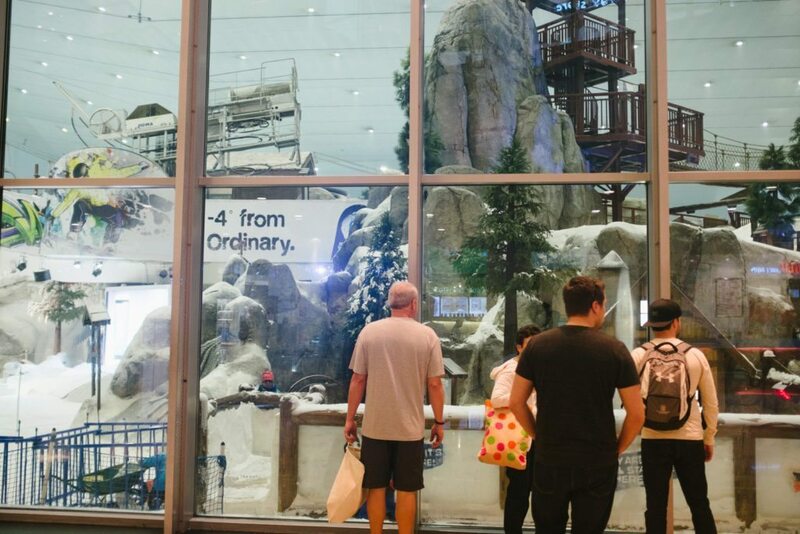 You can even hang out with penguins! 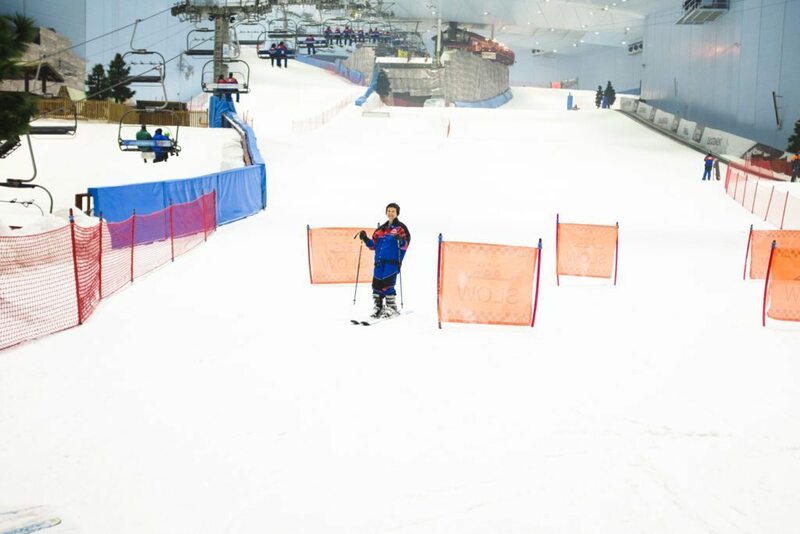 Winter clothing, snowboard and ski equipment are all included in the admission price- just remember to bring gloves and a hat (optional). 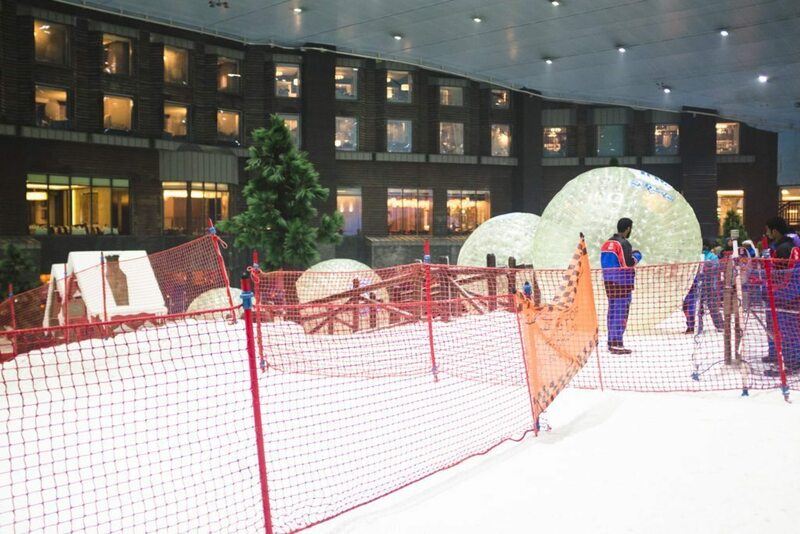 I cannot believe that this was all indoors. 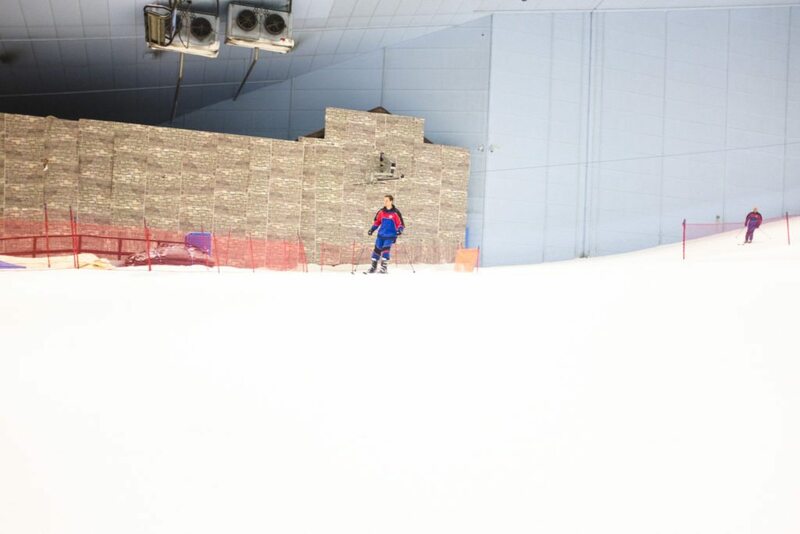 That is so freaking cool. 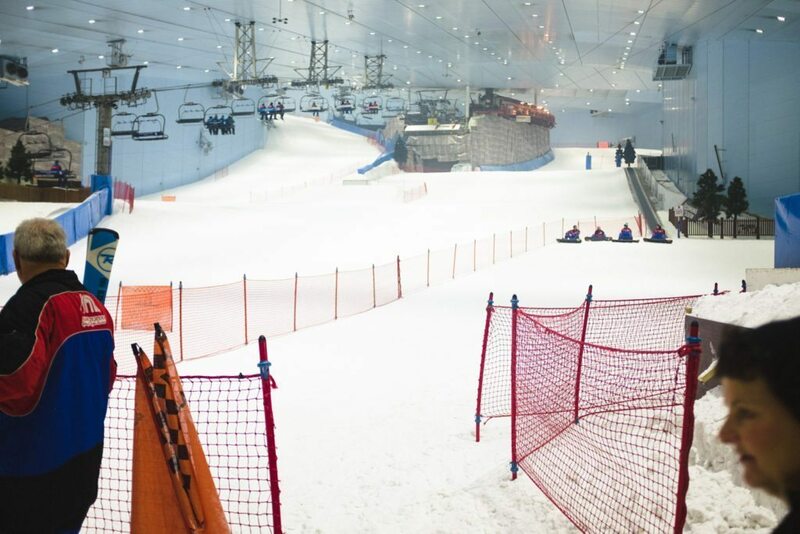 I’m more of a snowboader, but its been years since I last went. 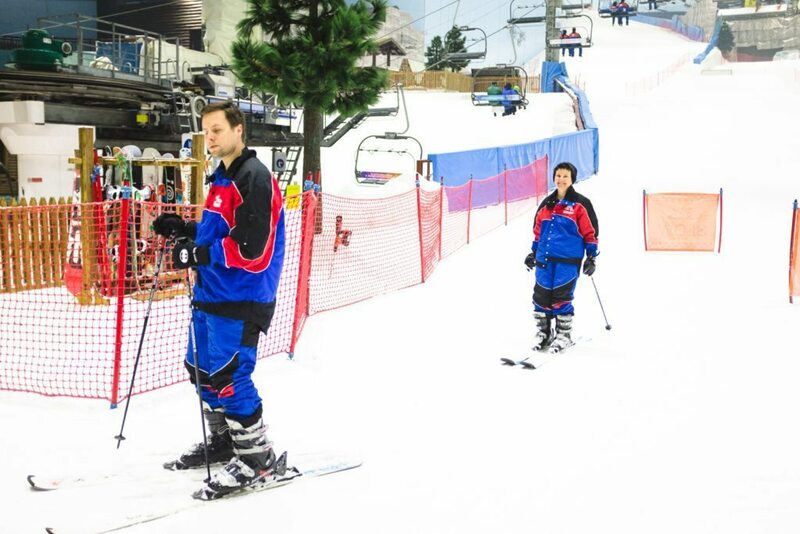 I’m pretty sure I would be a bumbling idiot out on the slopes. 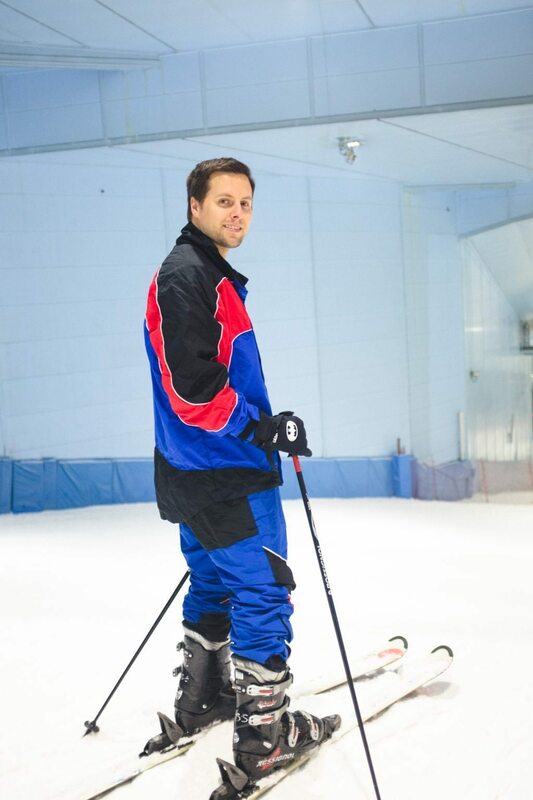 It was embarrassing– I basically tried to scoot out of the way so everyone could pass me. 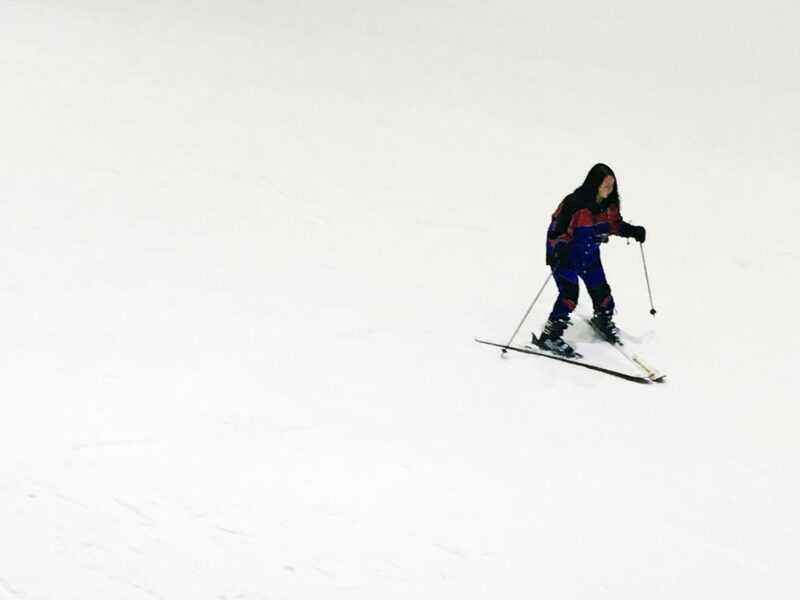 But last time I was snowboarding, my snowboard fell off when I went up the gondola– I figured skiing would be less humiliating.